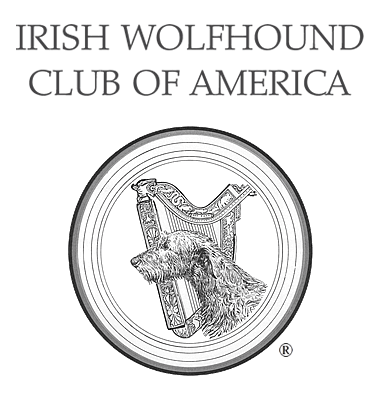 IWCA Longevity Recognition Program - Recognizing Long-Lived Wolfhounds - Irish Wolfhound Club of America, Inc. The Longevity Recognition Program honors the Veterans in our breed who have reached the age of eight (8) years or older. Any Irish Wolfhound owned or bred by an IWCA member, is registered with the AKC (or with it’s country’s registry) and has reached it’s eighth (8th) birthday is eligible. When a hound reaches the age of eight (8), and with the proper documentation, a “Birthday Card” will be sent to its owner notifying them that their hound qualifies for the Longevity Recognition Program and their particulars will be placed on the IWCA website. When a Veteran passes away, and with proper documentation, a certificate, suitable for framing, will be sent to its owner recognizing their long lived Veteran. This page was last updated 04/09/2019.